Welcome to United Island & Yacht! We would like to take a moment and introduce you to our company, United Island & Yacht, whom along with our alliance partners, United Shipping Nassau, have created a regional partnership that provides yacht agency services and shore support in both South Florida and the Bahamas. With our vast knowledge and years of experience in providing full agency support to the superyacht industry, we are able to provide yachts coming from abroad, a seamless transition of services while traveling to the United States and or the Bahamas. In house U.S. licensed customs brokerage. We look forward to sharing with you in person, what makes UIY and our partners, the premier yacht agency group in the region. Please reach out at any time for any and all of your agency and yacht concierge needs. Join us at the Stuart Boat Show! January 11th-13th - Come by and meet us at the largest boat show on Florida’s Treasure Coast featuring over 175 local, national and international exhibitors displaying hundreds of boats in-water and on land. 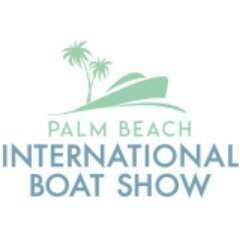 March 28 - 31st - The Palm Beach International Boat Show is one of the top five boat shows in the country - featuring more than $1.2 billion worth of boats, yachts and accessories from the world's leading marine manufacturers.